The last few years have seen the dawn of an interesting do-it-yourself decorating trend: chalk-painted furniture. Many homeowners adore these matte-finished pieces due to their shabby chic looks and the pops of color they add to an otherwise drab room. Designers and decorators love chalk painted furniture due to their customization possibilities and the fact that they offer an inexpensive way to create an expensive looking piece of furniture. Chalk paint is a paint made with a flat finish mixed with a chalk-like substance. This creates a fast drying, milky and extremely flat-finished paint. Additives used in the paint may include plaster of Paris, calcium carbonate, baking soda, indoor crack filler, grout and paint minerals. Layers of the paint are then applied to older or distressed furniture to give each piece a completely new look and feel. Typically, a lighter color is painted on top of a darker color and then partially sanded or wiped off to create a more “distressed” look. While the color possibilities are vast, that distressed and shabby look is a popular trend right now. Although chalk paint is touted as a “no-prep” paint, it requires more prep and finish work than you would expect. A quality, finished piece will need to be sanded before painting to remove any dents, dings and, most important, old finishes. 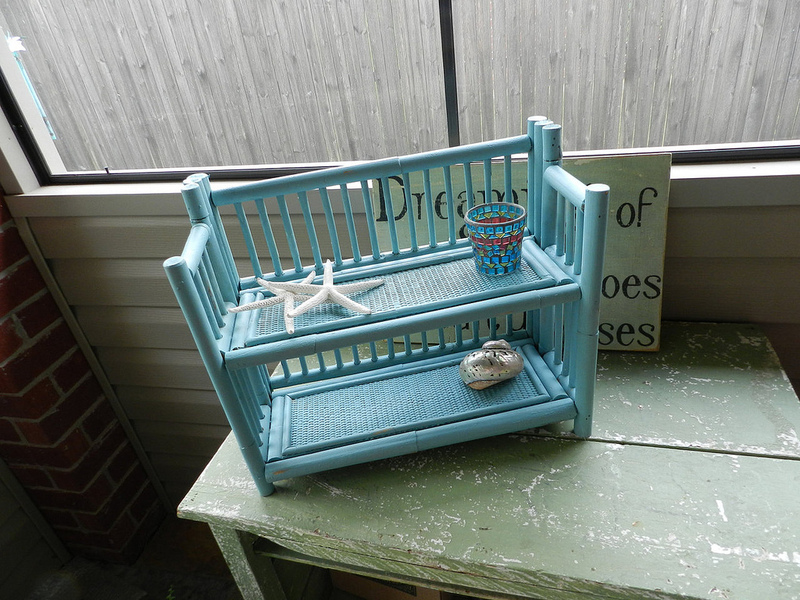 At the end of the day, a sanded item has a better surface for the chalk paint to cling to. A second concern is staining. Glossy paints are designed to resist stains. 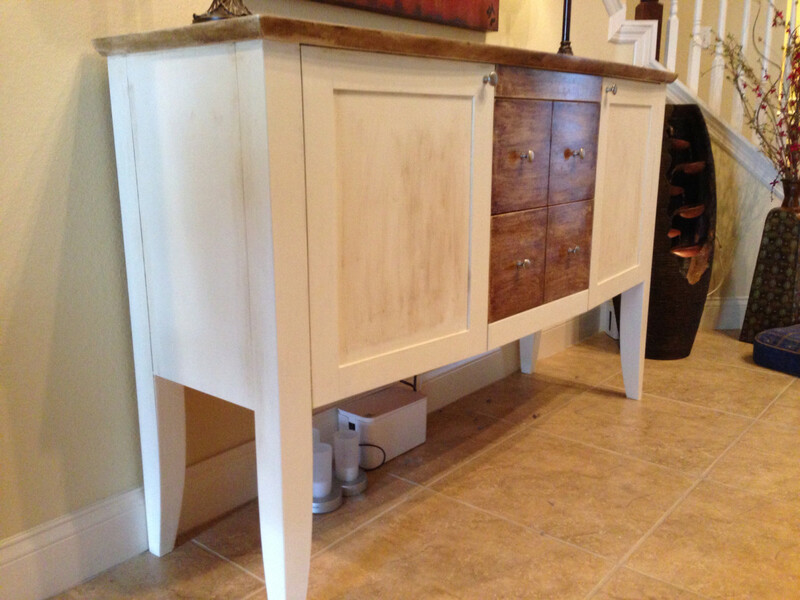 Since chalk paint is extremely flat, a porous surface naturally absorbs moisture. Stains are very difficult to get out. To avoid cup rings and other stains on finished surfaces, the paint must be sealed with an acrylic, epoxy sealant or by applying a soft paste-based wax. This adds a layer of protection against accidental spills or forgetting to use a coaster. Decorating trends are known to quickly come and go, which makes large investments in one fad or style a questionable practice. The good news is that the recycled and reclaimed nature of the chalk paint trend offers plenty of practical ways that can be incorporated into your home. Small painted pieces, like the mason jars from Hobby Lobby, picture frames or old lamps, are fabulous room accents and can easily be swapped out once the trend has passed. Mirrors and side tables, as well as coffee tables and desks, are also easy ways to add color and character to a room. The good news is these DIY projects are small in scope, require less expertise and can easily be done on a weekend. If you want to get your DIY feet wet, either of these projects would be a good place to start. Chalk paint is a fun, colorful way to add distressed or reclaimed décor to your home. Just remember that like anything else that’s trendy, smaller items require less time and money investment. Larger pieces look great initially, but it may be harder to replace them once the fad fades.